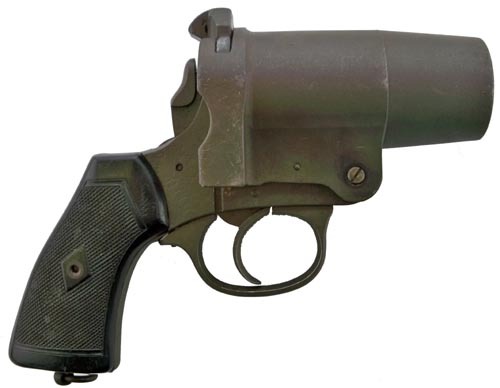 Webley & Scott produced a number of single-shot, break open signal flare gun devices used by Commonwealth Military Forces during the First and Second World Wars. 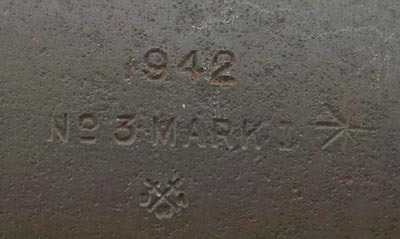 This example is a No.3 Mk1* and is date stamped 1942. It is designed to fire a 1.5 inch flare cartridge and bears clear and crisp Birmingham proof marks. It is of steel construction, the barrel breaks open for loading and the action fires. It comes complete with Birmingham Proof House certificate.